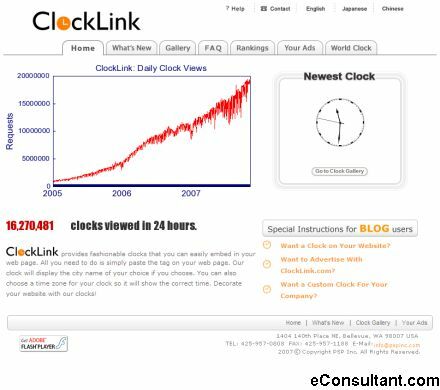 Description : ClockLink provides fashionable clocks that you can easily embed in your web page. All you need to do is simply paste the tag on your web page. ClockLink clock will display the city name of your choice if you choose. You can also choose a time zone for your clock so it will show the correct time.